Guess who's back baking with me?! 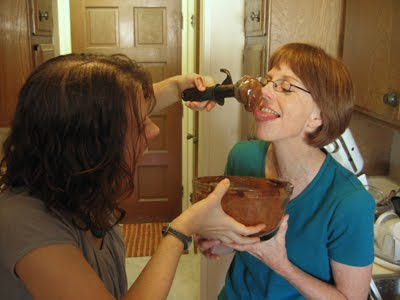 Seriously, how fun is it to bake with friends and family? (So fun!) She had never made a souffle before so this week's TWD pick was perfect. We got to try something new together, have fun in the kitchen, and eat gobs of chocolate before, during, and after the process. I'm not going to lie, though, the afternoon had its stressful moments. The egg whites were a little overbeaten, and the ramekins I have were not straight-sided. 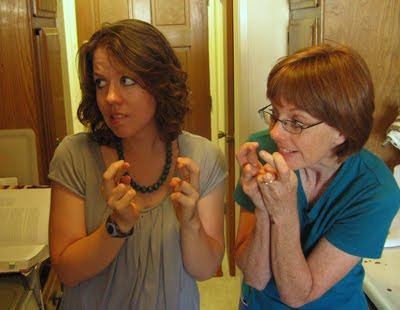 After we put our babies in the oven, we were overcome with worry. Would they rise? Would they maintain their shape? Fingers crossed! And the answer is, yes, they rose, and um, they sort of retained their shape. They had some round puffiness going on, but I like to think this just adds to their homemade charm. The best part, though, was the creme anglaise we made to go with the souffle. 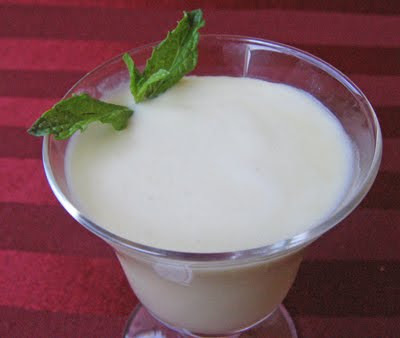 I had some fresh mint, so I infused a plain anglaise recipe with fresh mint leaves for several hours, and it gave it the most wonderful minty, refreshing, floral fragrance. It was nothing like mint extract, it was so fresh and herbal. It was the perfect way to cut down on the richness of the souffle. 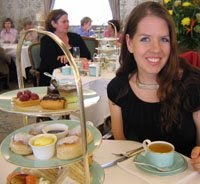 I also served it with fresh raspberries, which is one of my favorite herbal mint accompaniments. All in all, it was a big success and a great afternoon spent in the kitchen. This recipe isn't my favorite chocolate souffle recipe (that honor goes to this beauty from Epicurious) but it still tasted great in my opinion. And what did everyone else think? I tried to ask, but their mouths were too full of souffle to answer! 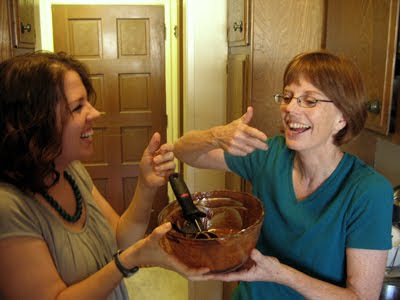 For the chocolate souffle recipe, head on over to Susan's blog at She's Becoming DoughMessTic. The fresh mint creme anglaise recipe is after the cut. Place the milk and the cream in a small saucepan over medium heat, and bring to a simmer. Remove from the heat, and chop or tear the mint leaves. Place the torn leaves in the milk and put a lid on the pot to infuse the flavor, let it set for at least 30 minutes. (Mine sat for more like 2 hours). Once you're ready to proceed, strain the leaves from the milk and place the pan back on medium heat. Put the yolks in a medium bowl and whisk them, then add the sugar and whisk to combine. When the milk is at a simmer, slowly pour it into the yolks, whisking the whole time, then return the mixture to the saucepan. Cook the custard over medium heat, stirring constantly, until it reaches 175 degrees on a thermometer. Remove it from the heat, pour it through a strainer into a bowl or tupperware, and press clingwrap to the top to prevent a skin from forming. Chill for several hours before use. Can also be churned into really delicious fresh mint ice cream! Lucky you! I was so wishing for that rim lift... alas, didn't get it as good as you. Yummy souffle. I'd never made one and was pleased that it rose up high and didn't tasty eggy as I'd always thought. MMMMMM, to the mint creme! Love all the pics of you and mum having fun in the kitchen. That souffle looks soo good, great combo! What a fun day - I feel like I was there! And your souffle (and the creme anglaise!) look gorgeous! 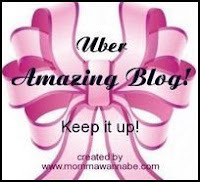 Ooooh Fab! They look great! Beautiful photos. Great pictures. Looks like you had a great time. I think the souffle looks perfect. Great post. How fun to be with family and good food! Your Souffle is wonderful! Looks like you are having too much fun...and your souffles rose! Perfect. 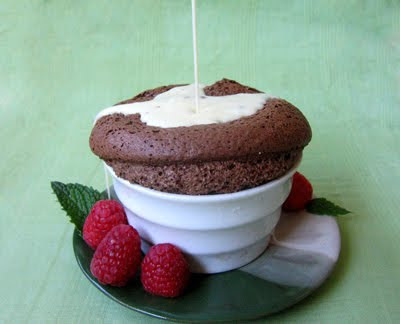 Your chocolate souffle looks soo beautiful! It looks like how it does when I order it for dessert at a restaurant. How'd you do that?? I was SO in love with these as well! Looks like the whole family loved it! It rose beautifully (and allowed you to take some great photos!) and I love that you infused the mint into the creme anglaise! Gorgeous job! Your soufflé is absolutely beautiful! Lovely photos. Looks like you had a lot of fun with your Mom! What a great time! 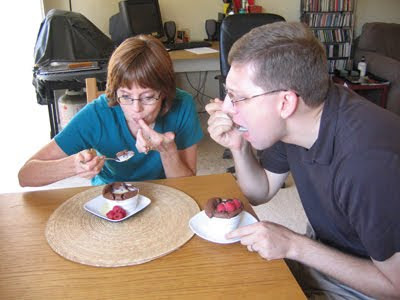 Your souffles look great, the mint creme anglaise sounds wonderful, and you and your mom look like you had a blast. Good for you! This would be a really fun one to cook together. All those crossed fingers worked -- your souffle rose beautifully! 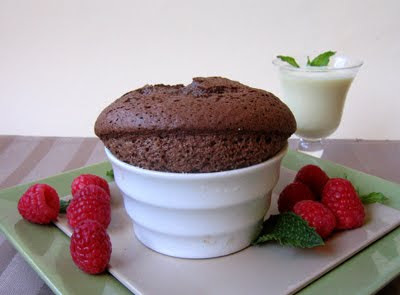 beautiful Souffle and love the idea of mint in the creme. 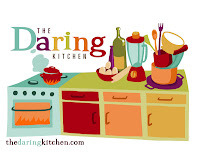 Lucky you to be able to cook with mom. She looks like fun. Oh my goodness I love that you and the family bake together!! Your souffles look amazing! I loved this! Yay! It looks like you had a blast with your mom. Your souffle looks great I'm going to have to go back and make it one day.